The El Primero was purchased by Seattle businessman James “Cy” Devenny from the estate of the late Sidney Albert “Sam” Perkins in 1955. John Spenard, of Seattle, recalls offering $500-$1,000 to buy the 120-foot steel-hulled luxury yacht El Primero in the 1960s. Spenard, who has been around boats most of his life as a captain or engineer, said he knew the history of the old boat and was intrigued by it. The El Primero was owned then by Seattle businessman James “Cy” Devenny — who had purchased the boat from the estate of the late Sidney Albert “Sam” Perkins in 1955. 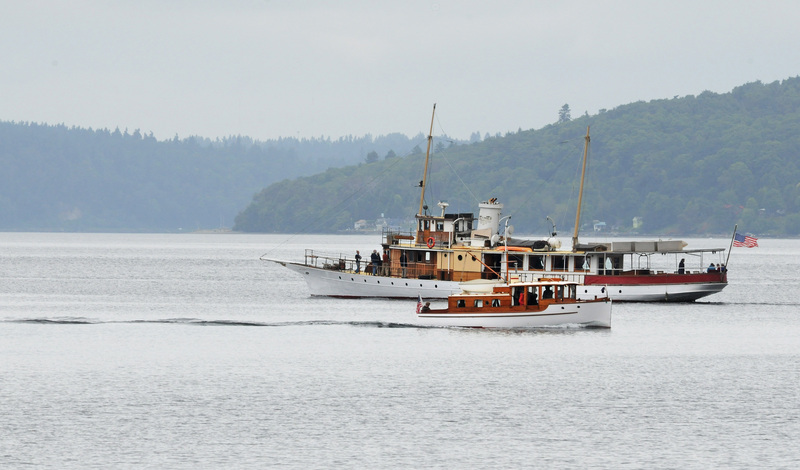 Devenny, who had a controlling interest in the Puget Sound Excursion Lines, operated old steam ships — including the Virginia V, the last operational example of a Puget Sound Mosquito Fleet steamer. According to Spenard, many owners of old steam-powered vessels at the time were converting their boats to diesel power. The El Primero’s original steam engine was no exception. “I remember ‘Cy’ and his people pouring concrete down the hull of the El Primero,” Spenard said. This was done to keep the boat from riding too high on the water after the the steam apparatus had been removed. He said the El Primero was getting a Detroit Diesel 6-71, a war surplus engine. This engine made its reputation during World War II as a simple and relatively lightweight engine that was used in landing crafts, according to yachtingmagazine.com. “What he wanted to do was restore the boat, turn it into a house boat,” Spenard said of Devenney. Early in the 1970s, Seattle inventor Campbell Church Sr. bought the El Primero from Devenny and turned it into the family’s boat. “He tied it to a pier on Lake Union,” Spenard said, recalling seeing it while driving around the waterway.